Travellers know tourist traps when they see one. Those are places where everyone and everything ⸺ from brochures to signboards ⸺ say you should go. Not that there’s anything inherently bad about them, but one tends to be wary. And that’s doubly so when the place is somewhere to eat. After all, it’s so easy to find over-hyped places that serve less-than-excellent cuisine. Then again, there are those places that rarely advertise, and yet are always chock-full with loyal patrons. Now these are the good ones. There aren’t any people screaming outside for you to come in, but the rave reviews will speak for them. 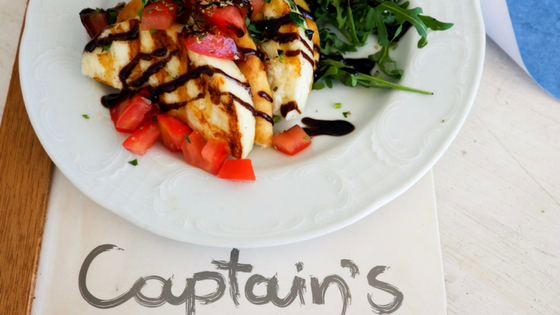 In the waterfront of Mykonos, we found one such place ⸺ simply named Captain’s. We went there with high expectations from what we’ve heard, and we weren’t disappointed. One of the first things you will notice when you enter Captain’s is the view. Being a waterfront establishment, you will be greeted with the wide blue expanse of the Aegean sea as soon as you take a seat. 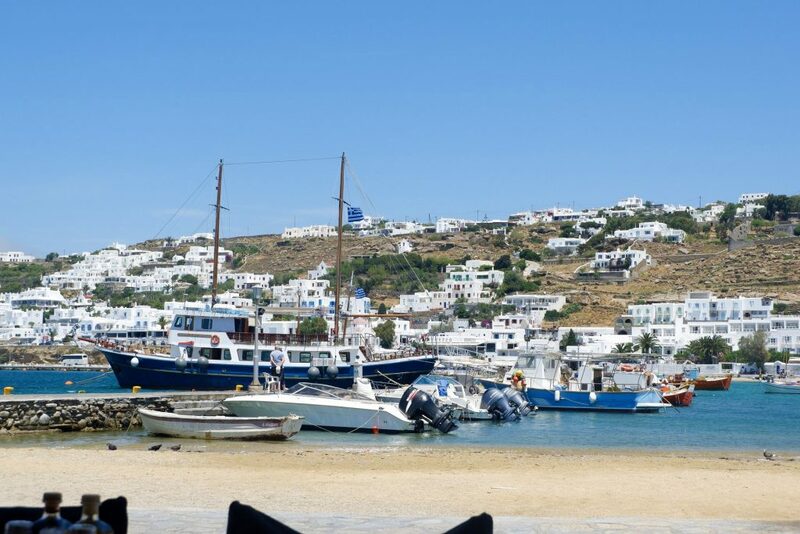 Not far off is a vista of the Mykonos town, its iconic white buildings lying low and hugging the gentle slope of the land. 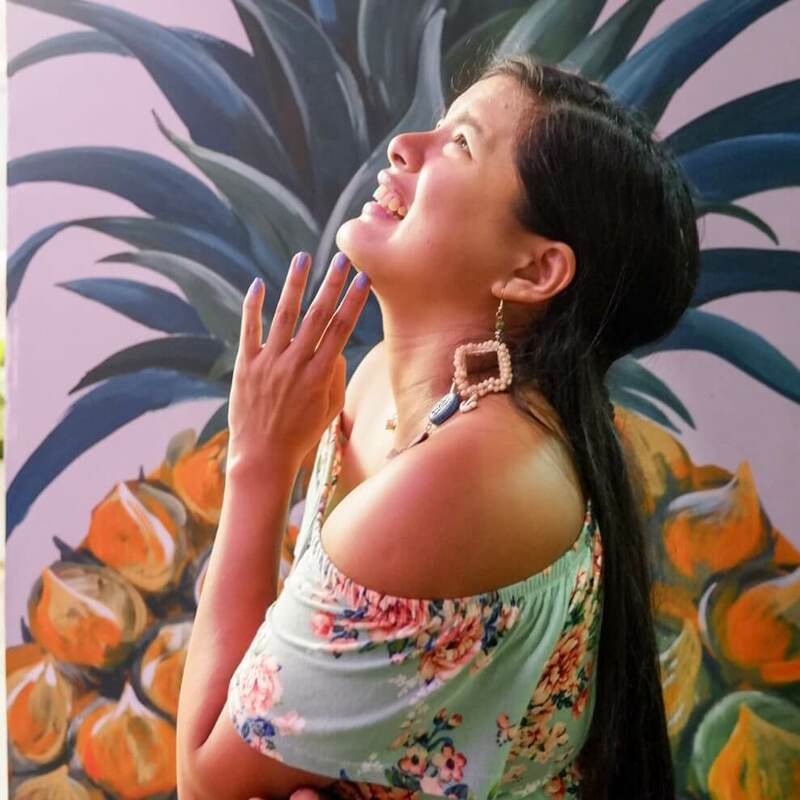 It’s the type of view that invites you to sit back and relax, and to enjoy every bite of your food. It’s also ideal for a cup of coffee on a lazy day, or a quick snack. The place itself matches its surroundings. The wooden tables and chairs dotting the mostly open place offers a laid-back, bar-like atmosphere. The design of Captain’s isn’t remarkable. Instead, it capitalizes on the beauty of its surroundings to serve as its decor! Of course, we’re not eating there for the view. We tried several items, first of which is their Captain Octopus Bites in Red Sauce (16 EUR). You know the octopus is really fresh from the first bite! It may take some time to chew it down, but it tastes great. The red sauce is to die for, too! 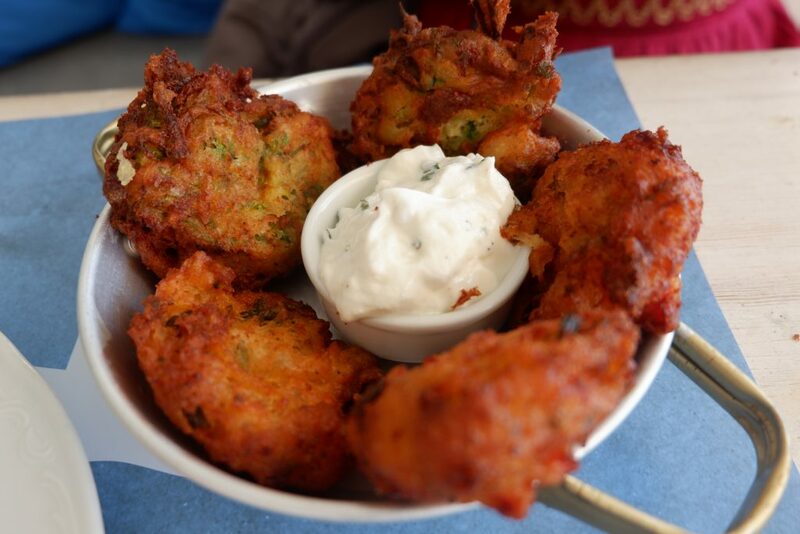 We also had some Zucchini and Tomato Fritters (7 pieces for 5 EUR). That’s right, tomato, not potato. They’re perfect for light and delicious appetizers! If you want something with more zest, there’s the Chicken Bites in Creamy Lemon Sauce (11 EUR). 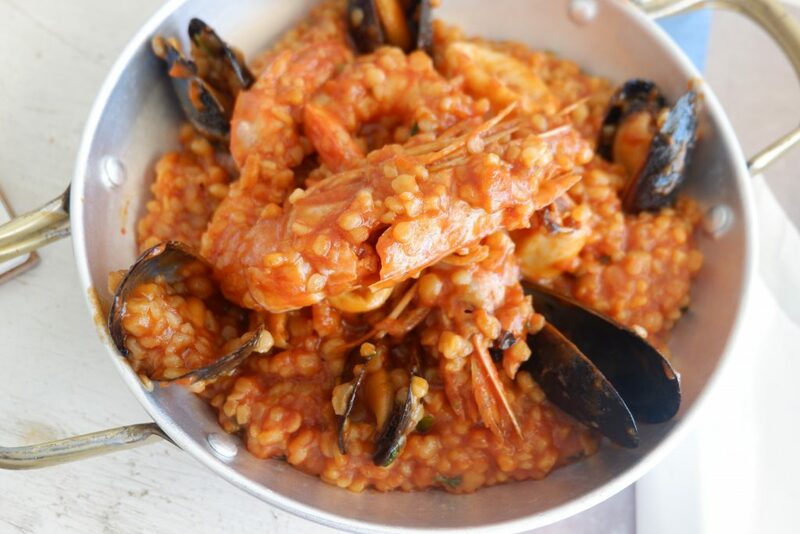 Finally, it’s time for some Seafood Trachanotto with mussels, prawns, and calamari (16 EUR)! This well-cooked meal, like all the rest in Captain’s menu, has huge servings and is perfect for sharing. Don’t miss the Talagani Grilled Cheese with Pita and Diced Tomatoes, the perfect side dish! And of course, a hearty meal wouldn’t be complete without drinks. Captain’s has an amazing selection of craft beers and exclusive wine! You can also ask the owner to help you pick if you can’t decide. 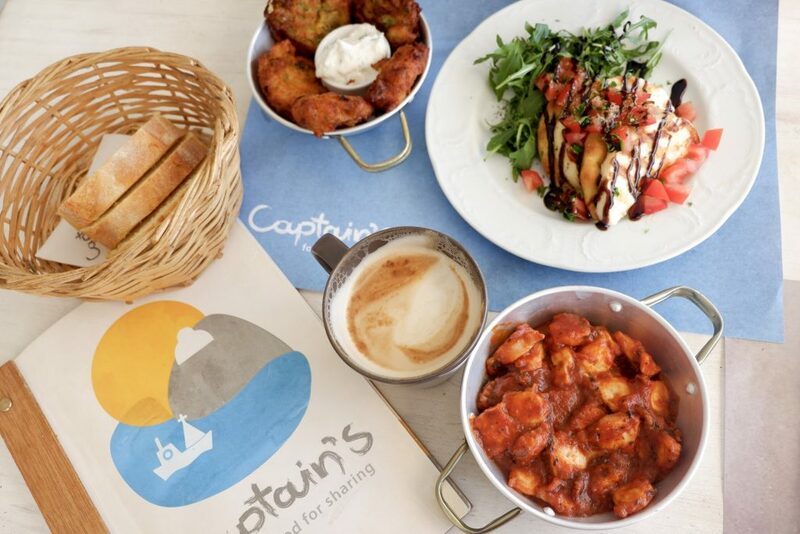 It’s no wonder Captain’s has become a staple in Mykonos. 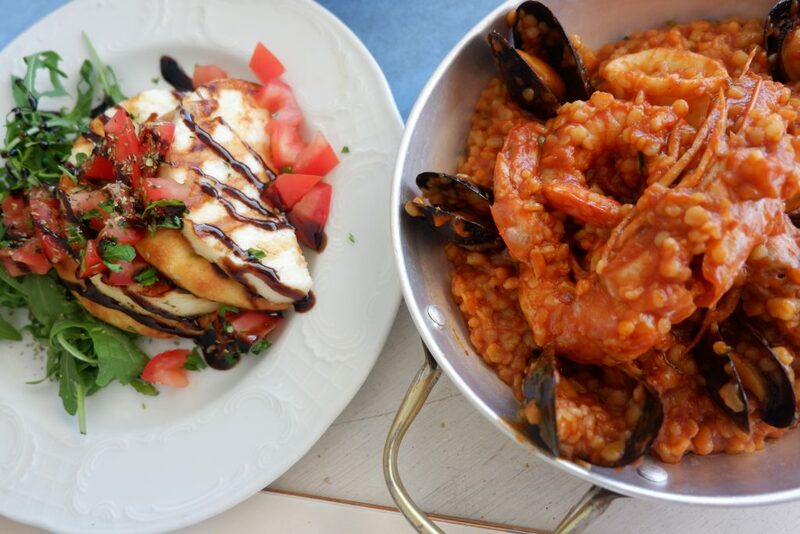 It’s not some fancy dining experience, but rather a place you can go to anytime for some truly great Greek food. And make sure you bring your friends, too! Aside from the large helpings, the only other thing that could complete such a scene would be good company.